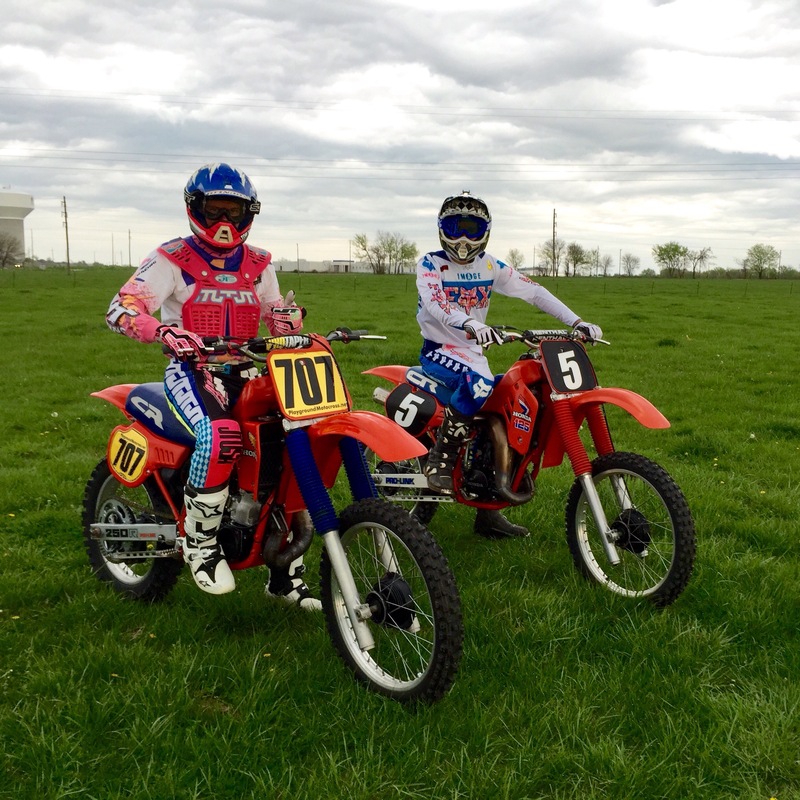 This past weekend my friend got me back out to a motocross track, but not on current MX bikes, rather 1983 and 1985 CR’s. Little did I know that I would have more fun than I could have Imagined. The plan started with Gerad (bike owner) trying to get myself and JLame to race each other. 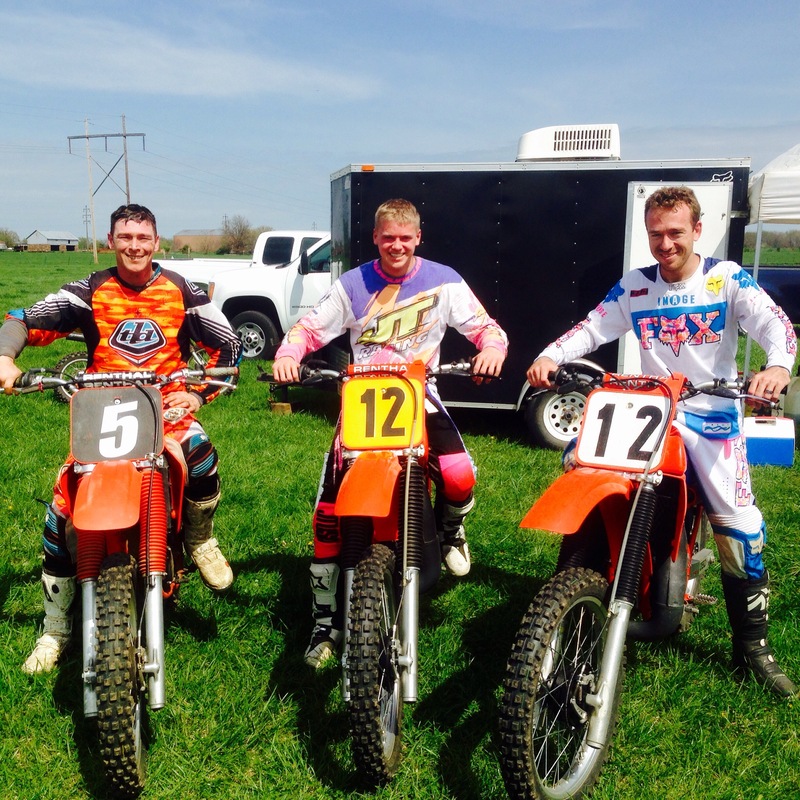 Sunday was round 2 of the MOVMX vintage series. I hadn’t ridden anything with an engine is about 8 months, so Friday I went down to Playground MX in Carthage, MO (Gerad’s MX track) to get a little practice on the bikes. 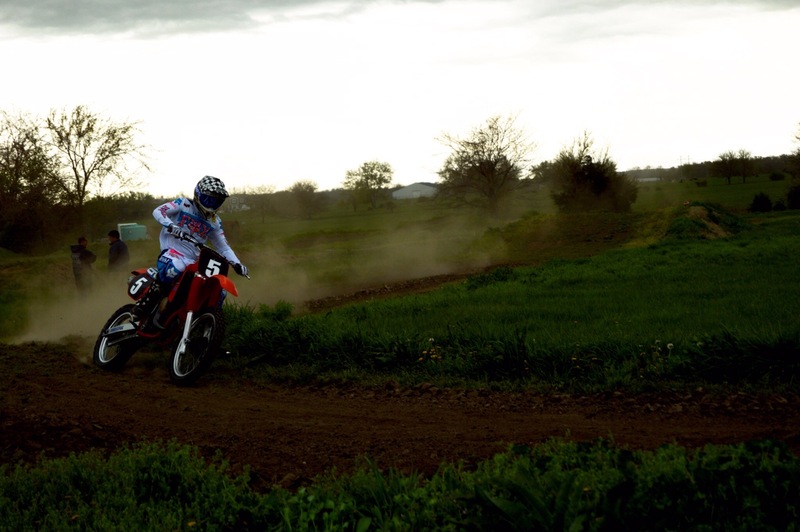 The practice day was really fun and I was feeling pretty comfortable on both bikes I rode. 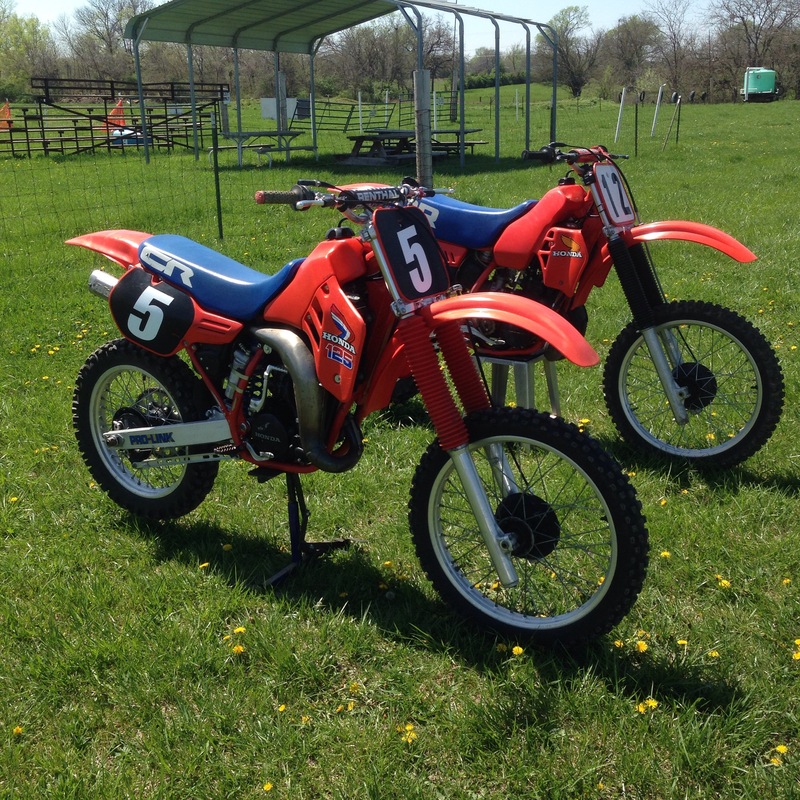 1985 CR125 and 1983 CR250. 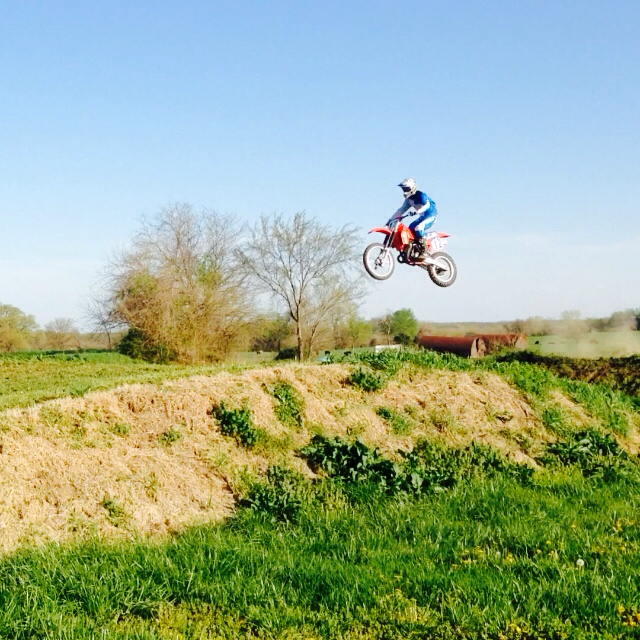 I had a little too much fun and rode more than I should have…..five 20 minute or so motos. I was hoping my fitness would be good enough to race on Sunday. With all my cycling I’m fit, but your hands and fingers get a much harder work out on a MX bike over a MTB or road bike. 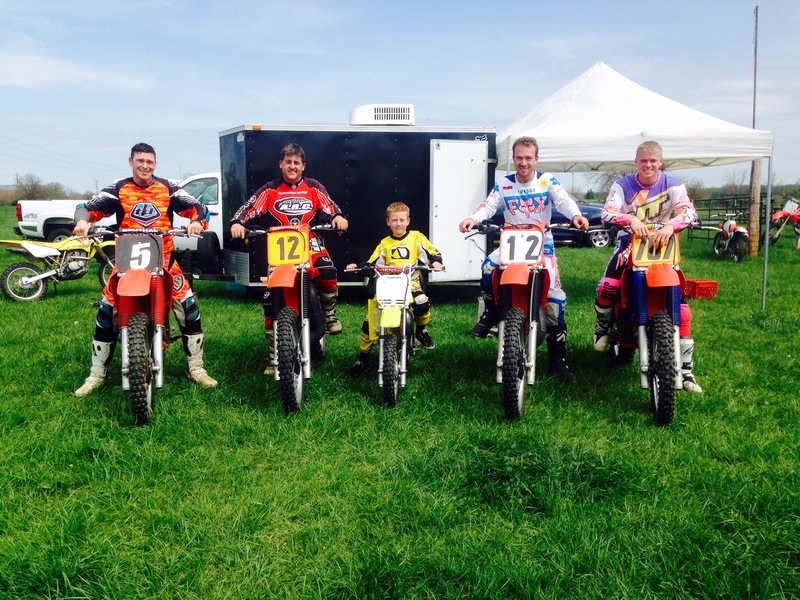 Sunday morning we got up and the whole family was planning on going to KC Moto in Adrien, MO for the race. Unfortunately Mother Nature had different plans and the race was canceled over social media at about 6:30am. Really bummed I called Gerad and he said his track is dry. Myself, JLame, and my other friend Patrick decided to head down to Playground MX and just have a ride day. It POURED rain for 1.5 hours and then stopped about 15 minutes from his track. Sunday turned out to be an AMAZING day enjoying great bikes with great friends. I’ve been busy this year and I really needed a day like this. 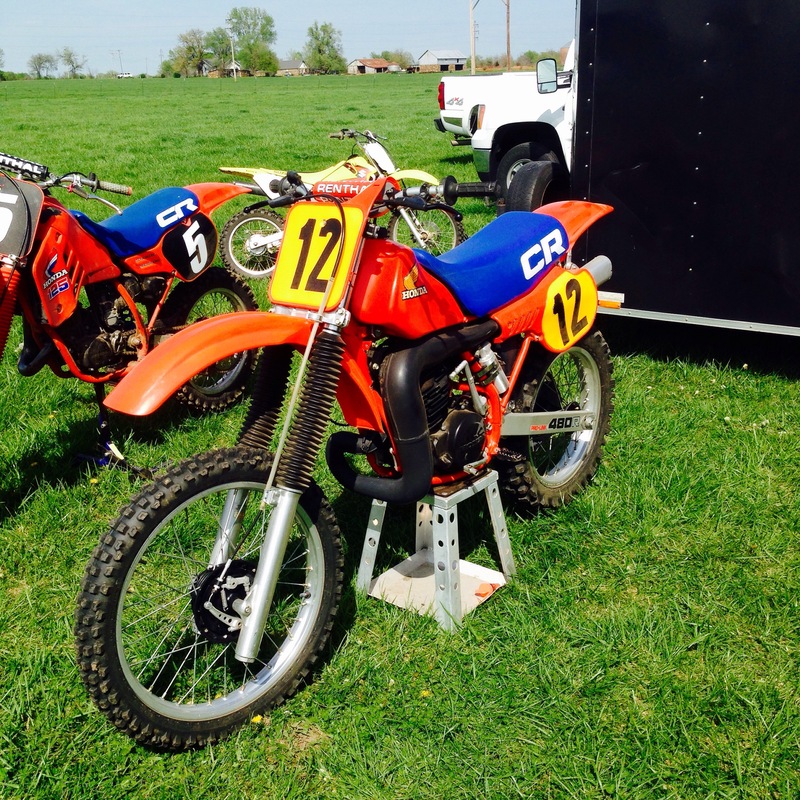 Sunday I rode the 1985 CR125 a little, spent most my day riding the 1983 CR250, and then I did one moto on the 1983 CR480. 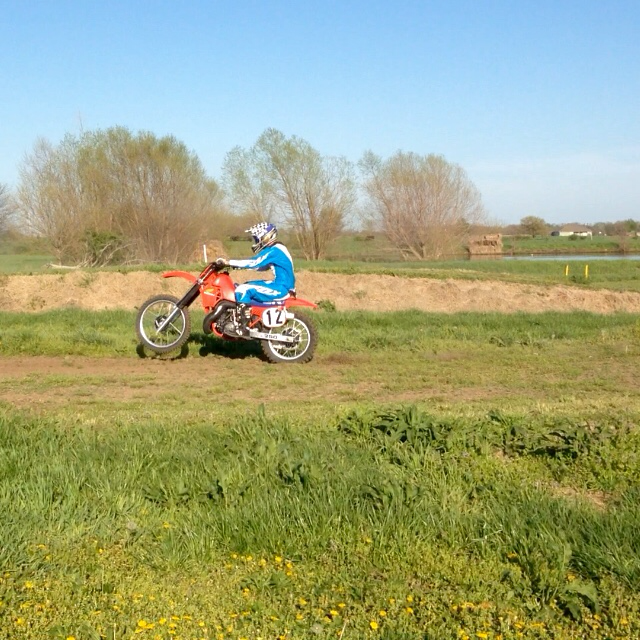 That bike was surprisingly fun to ride….what a total animal!!! Love those vintage bikes! 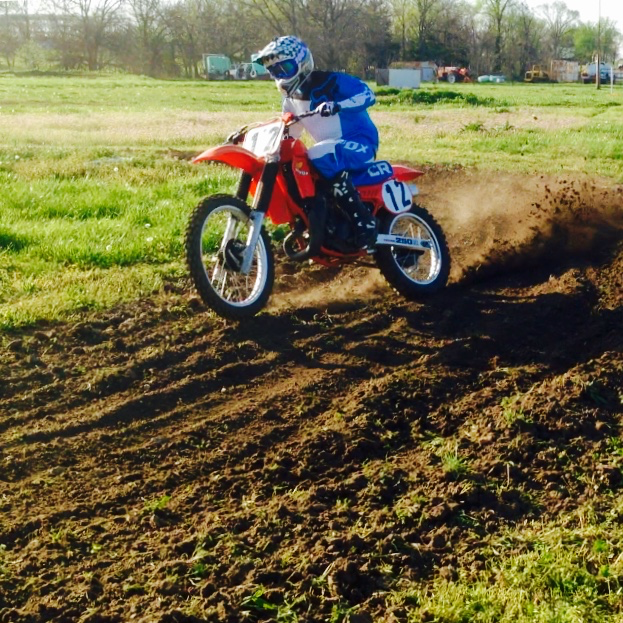 i raced a 1986 CR500 at the vintage races here in GA. Man those things are a blast! In the corners i am faster on the CR500 than the YZF250F!! Glad you got a break and had some fun! I just read both race reports, great job man. I have upped my results lately locally by using some brain/eye exercises and visualization before the races! Awesome, those big cc bikes are fun to ride. Thanks about my results, I’m happy my program is getting stronger and my confidence is coming back.